Hidden among popular Sydney golf courses is a little remembered graveyard populated by smallpox victims. 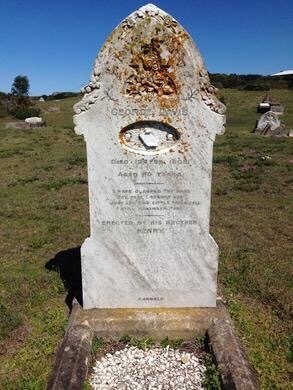 Hidden amongst the finest golf courses of Sydney’s Eastern Suburbs is the Coast Cemetery, an aging graveyard that remembers a time when the whole area existed solely to house smallpox victims. In 1881, Sydney fell victim to an outbreak of smallpox, a highly infectious disease for which began tearing through the local population. Thus a makeshift city was built near the coast, removed from the Sydney city center to prevent its spread by quarantining any sufferers far away from the general population. As the outbreaks continued, the permanent Coast Hospital was built, including its own cemetery where any patients that died of the disease were required to be buried. The hospital and cemetery continued to be used into the 1900s with outbreaks of the bubonic plague, typhoid fever, and leprosy infecting the city. In 1934, the hospital was renamed the Prince Henry Hospital and in 1946, the majority of deadly outbreaks staunched, it became a teaching hospital. The cemetery is quite unique as the people who were buried there, some 2,000 patients and nurses of the hospital, having been relocated to the isolated hospital, are not necessarily from the area. The site today is often overlooked in favour of the nearby suburb, the historically significant La Perouse. But this site offers something different, a snapshot of a very real, very frightening part of Sydney’s history reflected in the quiet, and often haunting, graveyard. Follow Cape Banks Road until you reach a small trail named “Cemetery Trail.” There is just enough space to leave your car at the start of the trail and then you must walk the rest of the way.